Description: Hvac Installation Services in st cloud fl is a business categorized under home appliance, furniture, and entertainment rental services, which is part of the larger category equipment rental and leasing. 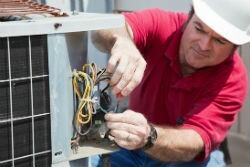 Hvac Installation Services in st cloud fl is located at the address 2 East 5th Street,St. Cloud, FL 34769 in St. Cloud, Florida 34769. The World Class AC is Jon Robles who can be contacted at (407)706-3332.
Review: World Class AC offers a variety of Air Conditioning Services. Please contact us to find out how we can help you. After being in business for over 10 years, we have experienced many different client needs(both residential and commercial). Location & access map for "Hvac Installation Services in st cloud fl"